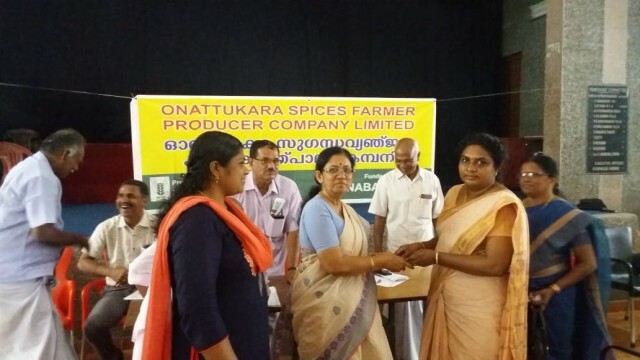 The Third annual general body meeting of Onattukara Spices Farmer Producer Company Limited (OSFPCL) was conducted on 22.09.2018. 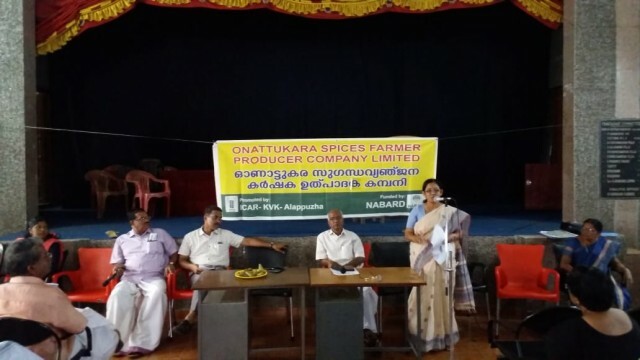 The company was functioning with the technical guidance of ICAR-Krishi Vigyan Kendra –Alappuzha and funded by NABARD for the spice cultivating farmers of the district. The general body meeting was presided by Smt. Rajini Jaydev, Managing Director and President, Bharanikkavu Block panchayath. She also presented the report on functioning of the OSFPC during last financial year. 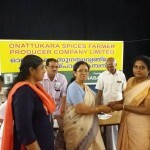 She pointed out the company has procured more than 20 tons of turmeric and 3 tons of ginger from the share holders and distributed more than 200 farmers of the district. 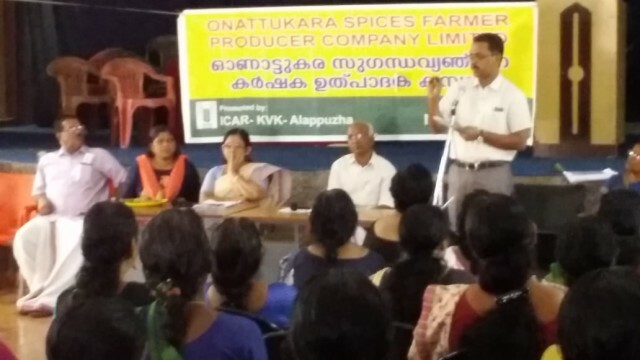 Dr P. Muralidharan, Principal Scientist and Head, ICAR-KVK –Alappuzha presented the report on OSFPC as a Producer Organization promoting Institution (POPI) and expressed satisfaction on the achievements made by the company. He emphasized the need for cultivating high yielding varieties of ginger and turmeric for achieving more income. 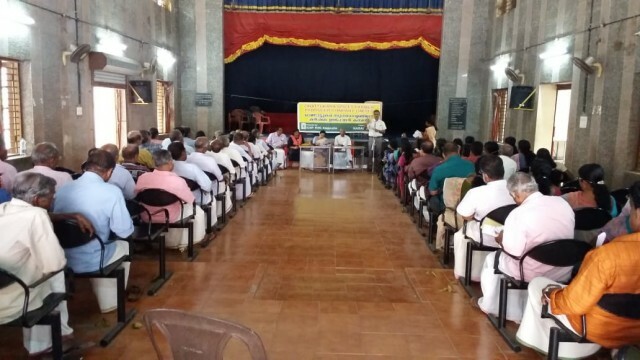 Rajeev M S, SMS (Agronomy), ICAR-KVK –Alappuzha, presented the audited report of OSFPCL and Smt deepa Rajendran, CEO of OSFPCL presented the business plan for 2018-19. Sri. 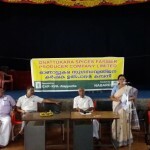 V. Vasudevan, Director, OSFPC and President, Bharanikkavu Grama panchayath,Smt. 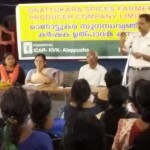 Jissy George, SMS (home Science), ICAR-KVK –Alappuzha, Sri ES Ananadan and farmer representatives spoke on the occasion. 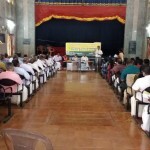 More than 100 share holder farmers attended the AGM and an amount of Rs. 10000/- was donated to the CMDRF by the company for the activities related to the flood affected peoples of the state.